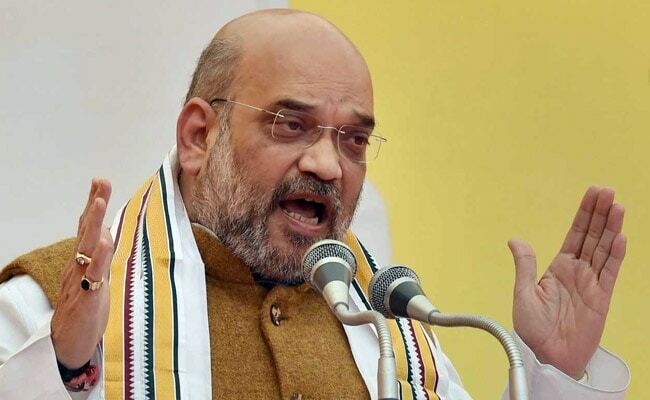 In the last 24 hours, BJP president Amit Shah has made the right moves towards sweet revenge after losing two important bypolls in Uttar Pradesh. 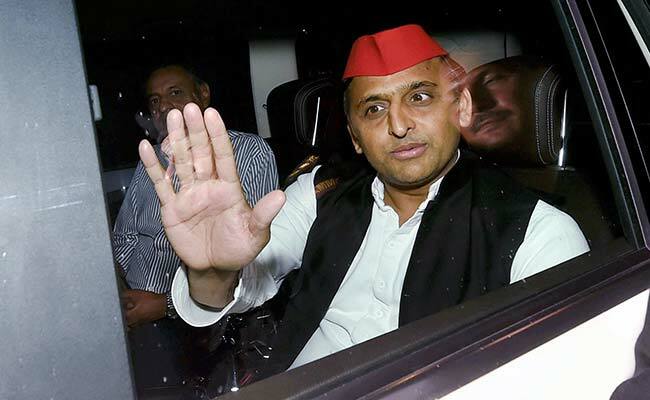 Seven Samajwadi lawmakers skipped an important party meeting today ahead of the Rajya Sabha election - bad news for Samajwadi chief Akhilesh Yadav and also for Mayawati's party, which stands to lose the race for one seat in the upper house. Days ago, Akhilesh Yadav and Mayawati set aside their 25-year rivalry and pulled off an incredible win for Samajwadi candidates in two BJP strongholds. As part of the quid pro quo, Akhilesh Yadav's lawmakers are to support Mayawati's candidate in the Rajya Sabha polls. On Friday, Uttar Pradesh will decide on 10 of 31 Rajya Sabha seats. There are nine BJP candidates and one each from the Samajwadi Party (SP) and Mayawati's Bahujan Samaj Party (BSP). The BJP has 311 MLAs, so it is assured that at least eight of its nine candidates will win. The Samajwadi Party has 47, so its sole candidate should win - and it will have 10 surplus votes. Mayawati has 19 MLAs. If all 10 of the Samajwadi Party's extra votes come to her (that is, the Samajwadi Party's lawmakers obey the party instruction), she gets 29. The Congress has guaranteed her its seven. Ajit Singh's party has offered to back her with its one vote. So she could hit 37 - the magic number. But the roster at a Samajwadi Party meeting called by Akhilesh Yadav in Lucknow this morning is worrying for Mayawati. Seven SP lawmakers including Akhilesh Yadav's uncle Shivpal Yadav skipped the meet. The absentees included the lawmaker son of Naresh Agrawal, a serial defector who quit the SP and shifted to the BJP after being denied a Rajya Sabha chance. The roster at a Samajwadi Party meeting called by Akhilesh Yadav in Lucknow this morning is worrying for Mayawati. A party leader was confident that the absentees would show up at an SP dinner in the evening at a luxury hotel. "The Samajwadi Party is united under Akhilesh Yadav's leadership. Those who did not turn up right now will turn up later. On the day of voting, all of our MLAs will be together," said Parasnath Yadav, an SP legislator. But party sources admit they have given up on the vote of Naresh Agrawal's son. One member is in jail. "Azam Khan and son did not attend but their support is with us. Shivpal Yadav and two other MLAs are in touch with us and likely to vote for us," a source said. Last year, at least seven legislators close to Shivpal Yadav had voted in favour of the BJP's nominee Ram Nath Kovind. The BJP is trying its best to defeat Mayawati's candidate by supporting a ninth candidate, western UP businessman Anil Agarwal, on a seat the BSP could have won otherwise. With the BJP putting up a fight, there are chances of cross voting and even horse trading in the UP Rajya Sabha election. Ally Suheldev Bhartiya Samaj Party is key to the success of the BJP's ninth nominee. Yesterday, Amit Shah was able to persuade the sulking party to get its four lawmakers to support the BJP after it skipped the one-year celebration of the state's Yogi Adityanath government. And today, Amit Shah's mission appeared easier after SP lawmakers missed the roll-call.